Allan J. Gelbin (1929-1994) was a well-known architect who spread the concepts of Frank Lloyd Wright and his own interpretations in the northeast. 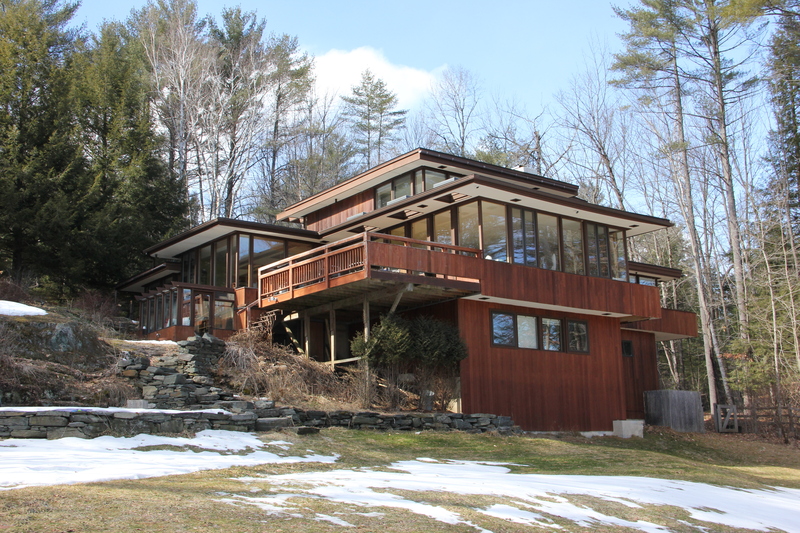 After leaving Taliesin East in 1953, Gelbin supervised the construction of three of Wright’s residential commissions in Canton, OH, and in New Canaan, CT. In New Canaan, he was part of a modernist architecture movement that combined the revolutionary stark look and form of the Bauhaus style with the more organic and playful approach of Wright’s Usonian homes. He also designed furnishings for his clients. In 1973, Gelbin moved into this house he designed and largely built for himself on Hopson Road, and lived in Norwich until 1977.